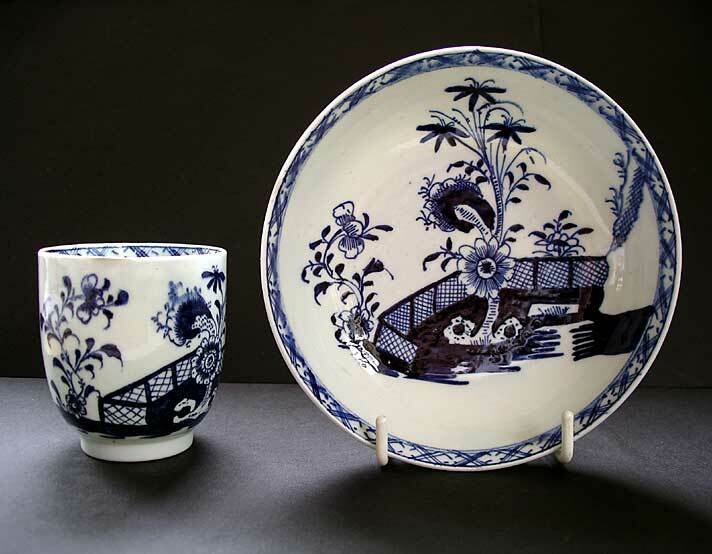 "A rare English porcelain Lowestoft scroll handle coffee cup and saucer - guaranteed genuine dating from around 1770-1780: boldly hand painted in underglaze blue and decorated with a rarely found and illustrated Chinese Garden Scene pattern. This is the only example we have seen outside of a museum! Note the distinctive stylised 'flowering bamboo' tree and fine fenced garden motifs. A rare and highly desirable item. It deserves a home in a very special collection." Antiques Expert Hamilton Bear. 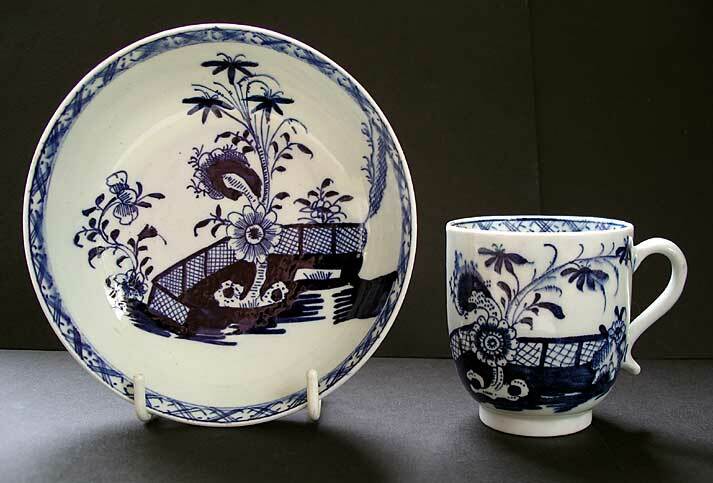 References: Lowestoft is one of the smaller English 18th century porcelain producers. Porcelains are among the scarcest and most highly prized of the English factories. Interest among fine English porcelain and pottery collectors is always keen... A bowl decorated in this rare pattern is illustrated in, Sheenah Smith, Lowestoft Porcelain in Norwich castle Museum, Volume 1 , plate 9, Catalogue No. 63. For an identical scroll handle coffee cup (shape) see plate 10, Catalogue No. 106. Dimensions: height cup 63 mm max. width saucer 122 mm max. Condition: Both pieces overall are very good and great display items. With rare Lowestoft pieces, some minor damages are usual and to be expected. 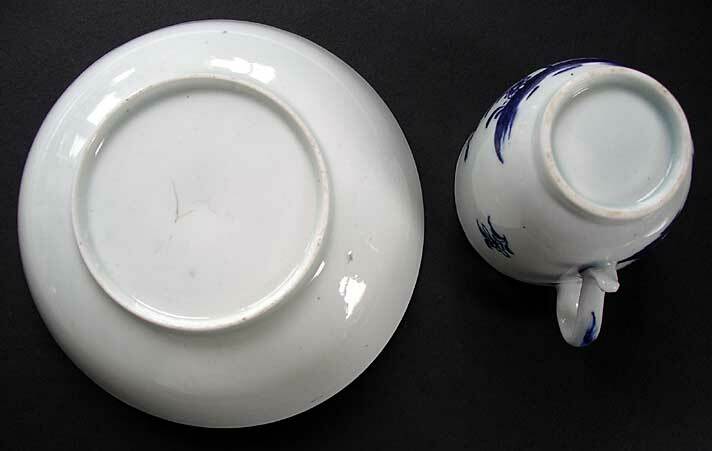 Condition report: Short forked glaze/surface hairline to back of saucer (illustrated). Not visible or through to the front. A small flake chip to inside/top rim of coffee cup: at some point professional filled and the lattice border repainted (close up image available on request); it appears as a slightly discoloured area on close inspection.